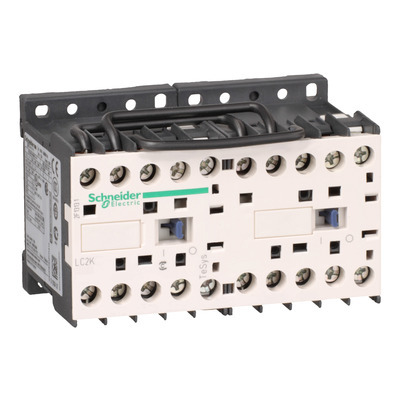 Detailed Description: Square D by Schneider Electric reversing contactor combine long mechanical and electrical life to offer a high reliable contactor. The range has been designed for integration in control systems and for inductive motor applications. The TeSys K contactors offer quick simple setup while maintaining compliance with international standards. A special armature structure design allows all devices in the range, either AC or DC, to have the same physical size and panel footprint for convenience.